Here’s how California could be missing pesticides’ cancer risk – #sayNOtoPESTICIDES! The local community is concerned about high levels of pesticides used near Rio Mesa High School in Oxnard, Calif., which is surrounded by strawberry fields on all four sides. California’s pesticide police could be missing a serious health concern for residents and farmworkers by failing to monitor what happens when pesticides get mixed together. As a new report from UCLA highlighted today, California studies only how each individual pesticide affects human health. Often, however, workers and residents are exposed to a number of pesticides at the same time. That can happen when pesticides get mixed together before they’re applied to fields or when different pesticides are used in the same field on the same day. A growing body of science is showing that the chemical cocktails could create greater health risks than each pesticide does on its own. In particular, the report shows how three fumigants – a type of gaseous pesticide central to the strawberry industry and used near schools and homes – might combine to increase the risk of cancer for bystanders. Essentially, once in the human body together, the chemicals can team up to attack and mutate DNA in a way they wouldn’t on their own. “The regulatory system that is supposed to protect people from harmful levels of pesticide exposure has been slow to deal with interactive effects when setting exposure limits for pesticides,” the report says. 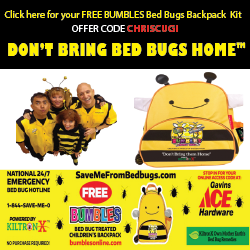 The California Department of Pesticide Regulation’s mission is to protect humans and the environment from the dangers of pesticides. The report’s authors, who come from UCLA’s law and public health schools, said the department must begin studying the combined effects. And they point out that low-income and minority residents are at the greatest risk. “DPR is required to assess this risk and protect public health, but isn’t doing so,” the authors wrote. The department already is under fire for how it has managed fumigants, which can spread easily through the air. A Reveal investigation found that department leaders allowed growers and Dow AgroSciences to use heavy amounts of one fumigant despite strenuous objections of scientists because of its potential to cause cancer. When Ventura County residents subsequently raised concern about the pesticide’s use in strawberry fields near Rio Mesa High School, department Director Brian Leahy responded with a series of exaggerations and contradictions. The department has curtailed the pesticide’s use and begun drafting rules that would limit pesticide use around schools and require residents to be notified of fumigant use near their homes. 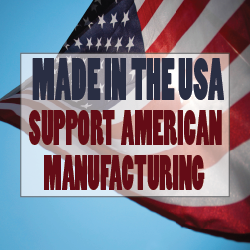 However, the state continues to keep open the loophole it created at Dow’s request. Last week, the department’s second-in-charge, Chris Reardon, left without explanation after nearly 13 years with the agency. An appointee of the governor, Reardon maintained close ties with the agricultural industry, copies of his calendars show. The UCLA report focused on the fields around Rio Mesa High School to make its case. The school is boxed in on all four sides by conventional strawberry fields. Although pesticides aren’t applied during school hours, the gases can linger in the air for weeks after they’re applied without teachers or students knowing. Combined, the health risk could be much greater than those of the individual pesticides. The report points out that 35 percent of all fumigants were applied on the same field on the same day as another fumigant, and 26 percent were applied as part of a pesticide mix. Pesticides sold as part of a mixture should be tested before being approved for use. When pesticides are mixed at the field or applied near each other, regulators should require testing or create strict restrictions if there’s a reasonable chance of human harm. The combined effects of the pesticides should be considered in the initial health research done by the Department of Pesticide Regulation and the rules it creates around the pesticides’ use. 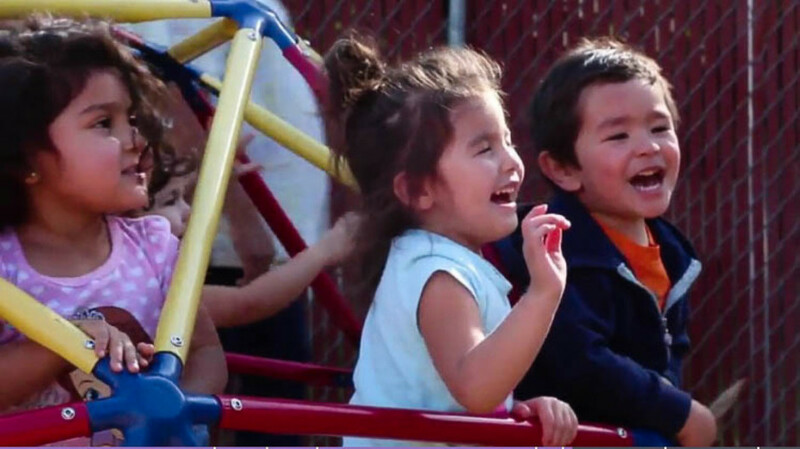 Video by EarthFixMediaYAKIMA, Wash. — At homes and day care centers throughout Central Washington, children play in yards contaminated with lead and arsenic. 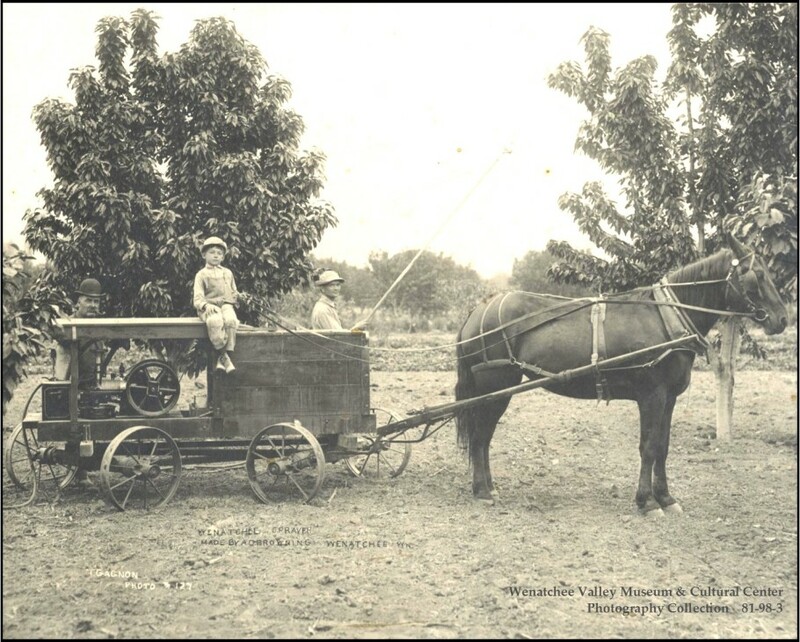 Until the 1950s, Northwest apple growers spent decades spraying lead arsenate pesticides in a never-ceasing battle against the codling moth, which once threatened the country’s most productive tree fruit region. That spraying contaminated an estimated 187,000 acres of former orchard lands throughout Washington — an area that exceeds the size of Seattle and Portland combined. Map: Washington Counties With Former Orchard ContaminationThe map below shows the amount of acres in each county that used to be orchards and are now potentially affected with soil contamination from lead and arsenic in old pesticides. Click on a county for the number of acres. As a result, the soil at hundreds of properties contains levels of lead and arsenic that, through long-term exposure, can lower children’s IQs, cause behavioral problems or increase cancer risks later in life.Washington, unlike many states, has studied and mapped the extent of lead and arsenic contamination. It cleaned up 26 public schools on former orchards. Public funds for orchard-era pollution dried up before at least two schools with contaminated soil were cleaned up. Legislative efforts were blocked. Recommended cleanups and exposure studies were shelved. Awareness campaigns stalled. Data was lost. Meanwhile, the contamination lingers and families have been left in the dark. “[the Department of Ecology] is aware of all this stuff. They have a legal right to enforce this stuff, but they’re choosing not to,” said Frank Peryea, who studied lead and arsenic for decades with Washington State University. He said state regulators have no easy answer for such widespread contamination. Heritage Hills, on the outskirts of Yakima, was built on an old orchard. A private firm tested the property in 1993. Its report to the developer included two samples showing lead and arsenic several times above the threshold the state uses as its standard for cleanups. It recommended “no further action” was necessary. A concerned local attorney sent a letter to the Department of Ecology, including that report. But the state never required a cleanup at Heritage Hills. New homes started popping up in the 2000s. By the time Hepner bought his a few years ago — not from the developer but from its first owner — he said high lead and arsenic levels were not disclosed, as state law requires for known soil contamination. Hepner instead discovered it because, until 2014, he handled toxic cleanups for the Department of Ecology. Now retired and working independently, Hepner said his former agency hasn’t done enough to protect children from exposure to lead and arsenic. Quiz: What’s my probability of lead and arsenic contamination?In evaluating lead and arsenic contamination from old smelting sites and pesticide use, the Washington Department of Ecology put together a flowchart for determining the probability of contamination on individual properties. Find yours. Hepner inverted his soil to bring clean dirt to the surface. He covered parts of his yard in pea gravel or bark.He said the Department of Ecology should ensure those precautions are taken at homes, parks and day cares throughout the region. He contends the state spends too much of its toxic cleanup fund on sites such as ports and retired gas stations, where toxic chemicals exist but vulnerable populations are less likely to come into contact with them. Valerie Bound, toxics cleanup manager for the Department of Ecology in Central Washington and Hepner’s former boss, does not discredit him or his concerns. Washington law exempts farmers from liability for pesticides they applied legally, so the state cannot force them to pay for cleanup. And subsequent owners of old orchard lands can’t sue them over contamination, either. 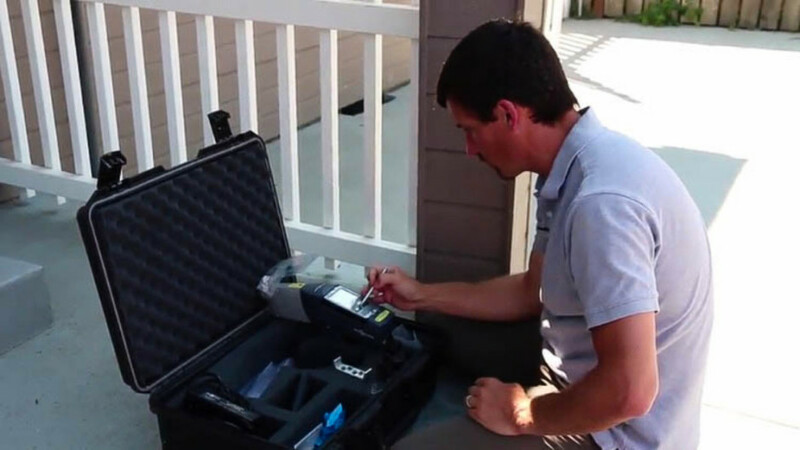 EarthFix tested multiple samples from 20 residential properties in Yakima and Wenatchee using methods recommended by the Department of Ecology. Samples from 15 of those contained arsenic or lead above Washington’s cleanup threshold. One resident from that sampling was aware of potential lead arsenate contamination. Do you enjoy Washington apples? Thank lead arsenateIt started with the worm in the apple. At the turn of the 20th century, the codling moth wreaked havoc on Washington’s apple industry. Orchardists dumped crate after crate of apples that were inedible and rotten to the core with the brown mush of larval excrement. 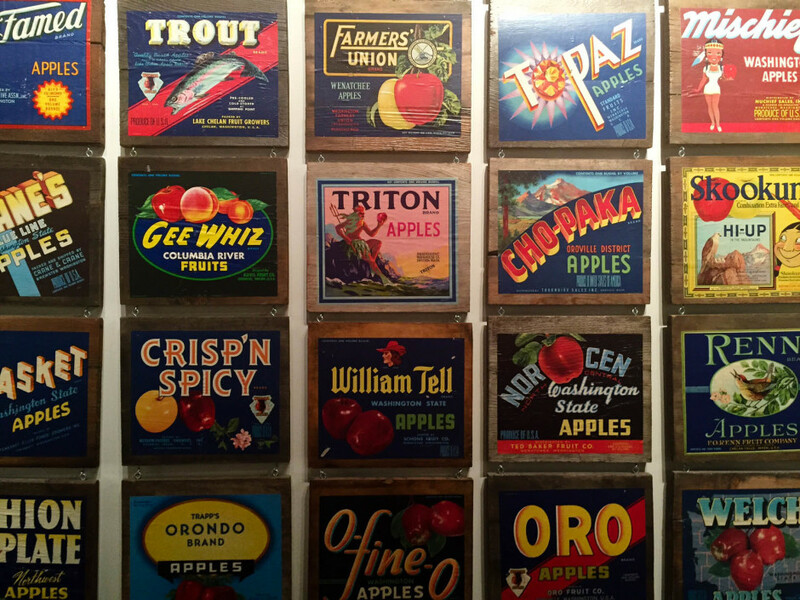 The introduction of lead arsenate to Northwest orchards in the early 1900s changed that. The industry flourished with the pesticide in widespread use for decades. Orchardists mixed it and sprayed from wagons. Some pumped it through built-in irrigators.But by the 1930s, the codling moth grew resistant. Lead arsenate began to lose its effectiveness — much like Roundup on modern cornfields where weeds became more resistant to the chemical. Orchardists countered this by spraying heavier doses with higher frequency. This lasted for nearly two decades. “If I lived in a place that was an old orchard, I’d be very careful about letting my kids play in the soil.” — Frank Peryea, Washington State University professor emeritus. That has happened more in Oregon. The state has stricter land-use laws for converting farmland to other uses. Conversion has happened there, but state officials do not know the extent of contamination. Efforts to study, map and clean up lingering pesticides on converted farmland in Oregon have not been as thorough or as systematic as those in Washington. There are simple steps to prevent exposure like covering bare dirt, frequent hand washing, leaving shoes outside and gardening in raised beds.“If I lived in a place that was an old orchard, I’d be very careful about letting my kids play in the soil,” Peryea said. Chronic lead exposure does its damage in early childhood. Arsenic’s effects appears later in life. Lead in a child’s blood causes behavioral problems, lowered IQ and stunted growth. Health officials say no level of lead in a child’s blood is safe. Repeated arsenic exposure is linked to heart disease, diabetes and various forms of cancer. A growing body of research across the country points to soil as a prominent cause of lead exposure for children, with some studies concluding it’s a more likely source of exposure than lead paint from old homes. A study in the Puget Sound region linked arsenic exposure with soil contamination near smelter sites in the 1980s. Washington Department of Health research in the 1990s found living in Central Washington increases the risk of lead exposure in children, and the agency cited lead arsenate contamination as a possible explanation. Not enough data exists to determine whether exposure has or has not caused a problem. Those data gaps are due, in part, to the fact that only 4 percent of children in Washington are tested annually for lead exposure, meaning many cases go unseen and trends are difficult to identify with certainty. Washington had money to survey a few hundred children for arsenic exposure in 2011, but the state has no program for tracking arsenic exposure the same way it does for lead. Not knowing any better, Jennifer Garcia did one of the few things you are definitely not supposed to do if your soil contains high levels of lead or arsenic. She planted a vegetable garden for her kids. “No eating dirt back here, guys,” she told them after learning of the sample results.Garcia sent Noah off to school for the first time this year. She knows she can’t eliminate risk for her children. But she’d like to control what she can. And she knows there are some steps she can take to prevent arsenic exposure. For former orchard contamination, the Department of Ecology has an online brochure and a list of schools cleaned up. Steven Kelley wanted people like the Garcias to know when they bought a home on an old orchard. He brought to the Washington Association of Realtors the task force’s recommendations calling for more disclosure, training for Realtors and educational newsletters. Washington now requires disclosure for vacant land the same way it does for residential homes. Some local realtors say they use voluntary environmental disclosure forms that mention orchards. Many items on the 12-year-old list of recommendations from the state’s task force remain unfulfilled. Bound, the cleanup manager for the Department of Ecology, said that at one time lead and arsenic cleanup carried a lot of momentum. Now, she said she is unsure whether they will revisit it. Concerns about a repeat of the Alar scareBound’s agency faced resistance on lead arsenate before the statewide task force report was ever published. Politicians east of the Cascades opposed testing, fearing too much noise about lead and arsenic would cut through the industry like the Alar scare in 1989, when a report by CBS’s 60 Minutes called the growth- and color-enhancing chemical a dangerous carcinogen and public reaction cost the industry millions. In 2005, a bill moved through the Washington Legislature that would have enacted some of the key recommendations, including mandatory testing for child care centers. When introduced, the bill explicitly mentioned lead arsenate pesticide and applied to the entire state. When the bill finally passed, all references to pesticides were removed and it pertained only to lands west of the Cascade mountains, where only a small fraction of Washington Apples are grown. 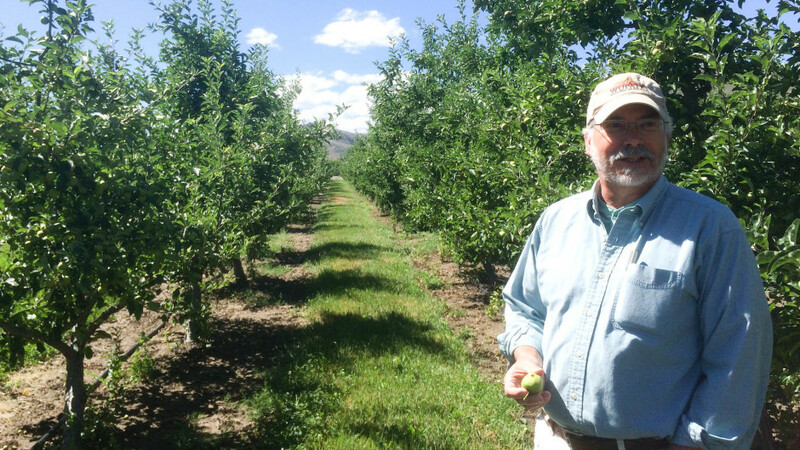 “You don’t know how much I appreciate the amendment you put on this bill,” Clements, a longtime orchardist and former Washington State Apple Commissioner, told his colleagues in the Washington House of Representatives before the bill passed. 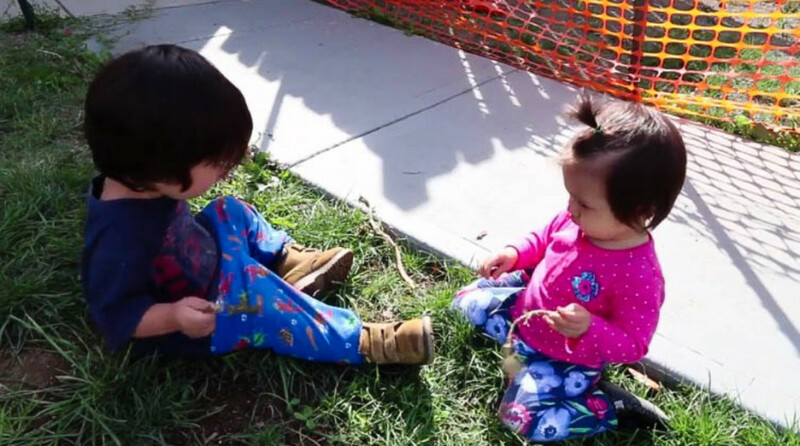 Part of your job is to take care of itJose Mendoza wanted his child care center’s soil tested more than the Department of Ecology wanted to test it. Because Rainbow Kidz is east of the Cascades, laws requiring day care testing for soil contamination never applied. But he wanted to know. “… you need to let people know,” Newschwander said. This is the disincentive that deters testing: State law says licensed day care operators who become aware of lead or arsenic in the soil must take action to prevent child exposure. Beyond that, disclosure of contaminated soil could complicate selling or borrowing on the property in the future without proper cleanup, which is also cost prohibitive. 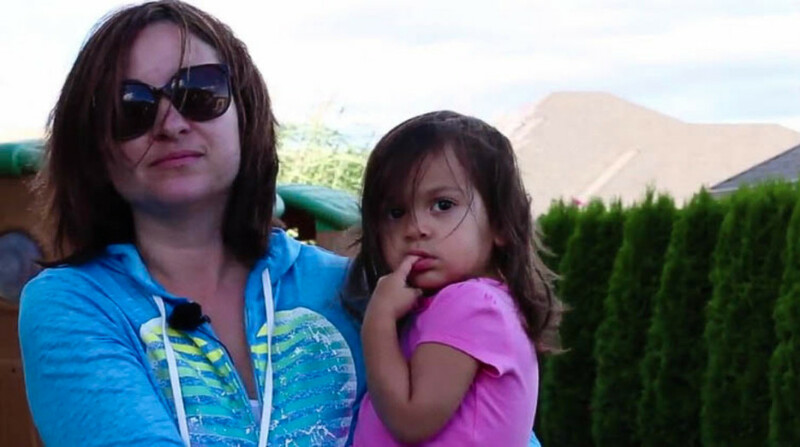 Wenatchee and Yakima, two hotspots for lead and arsenic, have a combined 340 child care centers.The Department of Ecology has no money to help people like Mendoza pay for cleanup. That puts the agency in a difficult position — do nothing, or require the property owner to undertake a potentially costly cleanup. “Part of your job is to take care of it,” Mendoza told him. “And part of my job is to have safe and a clean environment for my students.”Newschwander nodded. Click here for full PBS Report.Reported by Tony Schick and Courtney Flatt. Written by Schick. Audio produced by Flatt. Video produced by Flatt and photographed/edited by Lena Jackson. Soil testing by EarthFix was paid for through a grant from the Fund for Environmental Journalism. This report first appeared on EarthFix’s website. EarthFix is a public media project of Oregon Public Broadcasting and Boise State Public Radio, Idaho Public Television, KCTS 9 Seattle, KUOW Puget Sound Public Radio, Northwest Public Radio and Television, Southern Oregon Public Television and the Corporation for Public Broadcasting.